Are you as busy as you would like to be? As profitable as you think you should be? Are you ready to grow? For over 22 years, A'LaCarte's experienced professionals have been helping its restaurant clients "Create Winning Concepts", "Operate More Profitably" and "Grow Successfully." 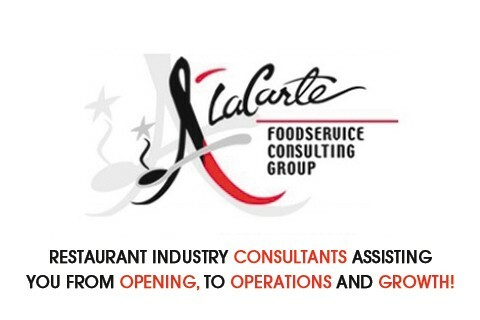 Founded on the principle of providing services that are Genuine, Knowledgeable, Focused and Thorough, A'LaCarte has successfully completed projects for the start-up concept, independent restaurant company and large multi-unit chain. We help operators Effect Change and Create Improvement. Our team works with your to define your vision, develop the direction, and implement your operating plan! Let A’LaCarte’s restaurant consultants assess your existing restaurant concept and assist you with your restaurant menu development, operating systems and restaurant marketing program. We have helped many clients grow by developing their management team and providing them with our complete restaurant franchising program. Have an idea for a new restaurant? Our consultants have assisted restaurateurs with concept, market research, budgets and other opening services.